With there being 7.42 million homes and apartments ready for purchase in Florida, house-hunters have plenty of options to choose from. But because buying a home is such an exciting time, it can be all too easy to get caught up in your emotions and see past serious problems with potential houses. So to help you avoid making a purchase you’ll regret, here are a few red flags to keep in mind while house-hunting. Signs of water damage: One of the worst things that can happen to a home is water damage. Whether it was a leak in the roof, a burst pipe, or a foundation crack, water damage can be a major problem. If you’re looking at a house and you see water stains on the ceilings or walls, rotting wood in the kitchen or bathroom, or serious cracks in the foundation, it’s probably best to keep looking. Water damage can result in a series of issues and it can often be more problematic than it seems. Overall lack of maintenance: Any new homes you look at should seem like it was well-cared for. The gutters should be cleaned, the appliances should be in good shape, and the paint on the walls shouldn’t be cracked or peeling. If there is a part of the home that doesn’t seem like it was maintained well, there’s a good chance the home as a whole is going to have more problems. When homeowners lack maintenance, problems can begin to pile up. So if a home seems dirty or uncared for, take it as a warning sign. Poor neighborhood or school rankings: When you’re looking new homes for sale, it’s important to consider what is around the home as well. Buying a home in a good neighborhood with a high-rated school district is just as important as finding a nice house. When you live in a good neighborhood, you’ll have access to better amenities and transportation. Furthermore, the market value of the houses will remain high if you decide to sell. 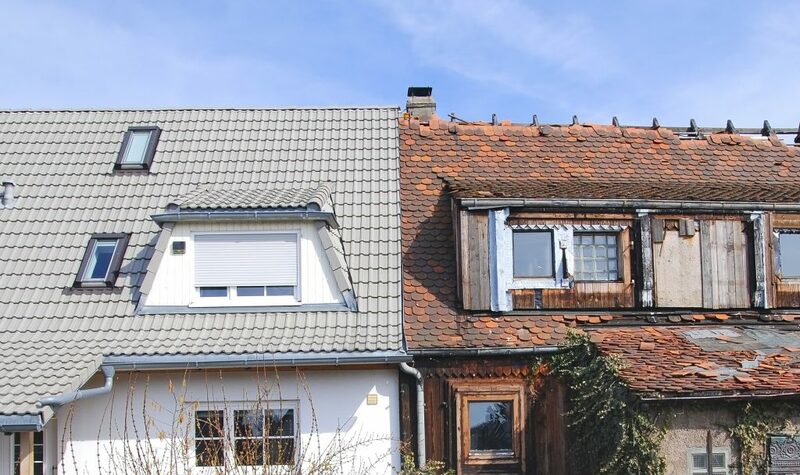 So if you find a great house but it’s in a not-so-great neighborhood, consider looking elsewhere. Looking at new homes generally involves a lot of thought and decision-making. So keep these red flags in mind to avoid buying a home that’s more trouble than it’s worth.